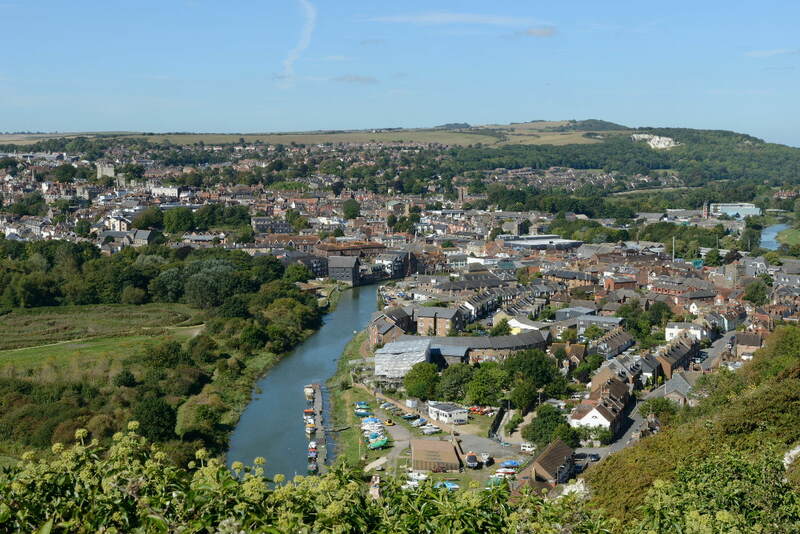 Lewes is bathed in history, the county town of Sussex. The lovely old town with its steep streets and narrow ancient alleys (called twittens) giving tantalising glimpses of the surrounding downland. Lewes castle built in Norman times stands sentinel over the interesting and unusual houses, which have been built over many centuries, including the Anne of Cleeves House museum. The river Ouse flows through the lower Cliffe area and is spanned by a pretty bridge. Here in former times ships would arrive from the port of Newhaven bringing goods and taking away local produce, which made the town so prosperous. Lewes has two public swimming pools, one indoor and a very popular outdoor “Pells pool”, which is open in the summer months. Eastbourne and Beachy Head are 18 miles distant, between there and Lewes are many lovely beaches. Managed by the National Trust are Cuckmere Haven, part of the Seven Sisters Country Park and Birling Gap, which are both very beautiful. Bicycle hire is available there.